My dad wanted my sister Fran and me to join the local athletics club but we were too young, so he took us to Camberley rugby club instead. I was three, Fran was seven. I played everywhere, but I was mainly a centre until I went to Hartpury College at 16 and they asked me to move to No 8. Do you enjoy playing in the back row? I love it! I like the big hits. My Camberley coach Bob Jones was and still is a big part of it all. He’s like my number one fan now! My parents have done a lot for me, of course, and Fran my sister (who also plays for England). When did you get involved with England? I joined the national talent development group when I was 13 and played U18s and U20s. Then last year, when I’d just turned 18, I was called into the senior England squad, which was pretty crazy. You’re only 19 – do you miss out on teenage life? I still put time aside for a bit of partying! RW Verdict: Capped at 18 and with games against the Black Ferns already in her locker, Matthews is set for a long Test career. Tell us about your rugby background. I first played when I was 12 or 13. I was bored of football, so I went to Bargoed rugby club to try something different. Have you always been a scrum-half? 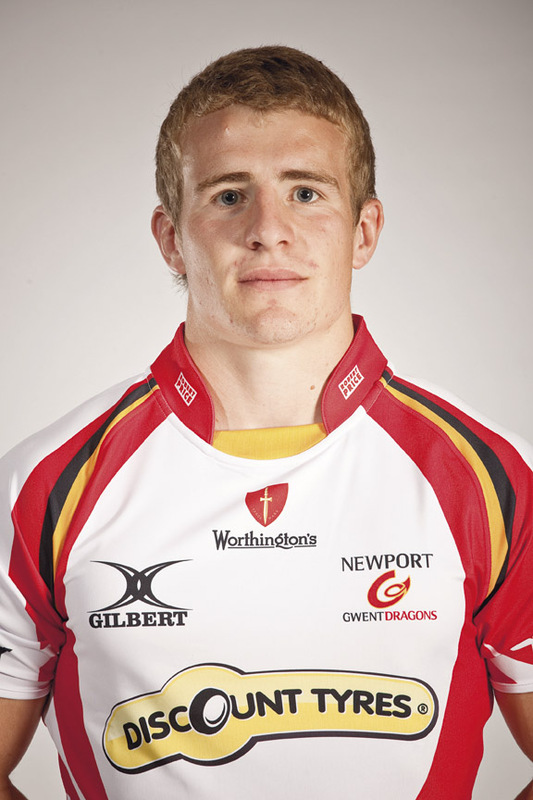 I was outside-half through most of the age groups but changed to scrum-half when I came to the Dragons U16s, because academy coach John Williams felt I was more suited to it. I like being in and around the action and telling people what to do. Which Wales teams have you played for? Wales U18 twice, then Wales U20. I played for them 20 times in all, over two seasons. I’ve had two seasons in the Dragons senior squad and this is the first time I’ve played before Christmas instead of being injured. Wayne Evans and Joe Bedford have both been out so I’ve played a lot and now I feel like the coaches have got some confidence in me. My aim is to try and maintain this first-team place and establish myself as a player in this league. I’m studying sports management at uni and I also help out coaching at Rumney Valley District U15s. I try to get down there once a week and I go to any games I can, to put something back. RW Verdict: This talented 20-year-old has made the step up into the adult game and is set to keep improving. This article appeared in the Decemeber 2012 issue of Rugby World Magazine.